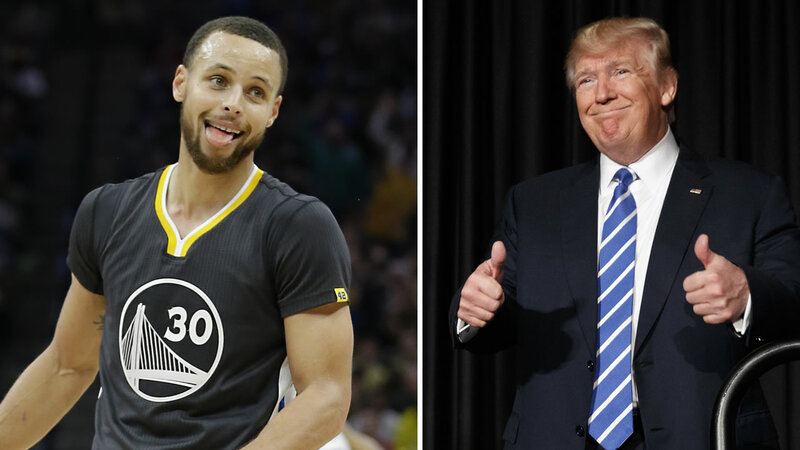 OAKLAND, Calif. -- Warriors star Stephen Curry is responding to comments made by Under Armour's CEO about Donald Trump. In an interview with CNBC, Kevin Plank said President Trump is an asset to the country. Curry told the Bay Area News Group, "I agree with that description...if you remove the 'et' from asset." The Warriors guard says he talked with Plank on Tuesday and the CEO told him his comments were meant exclusively from a business perspective. He distanced himself from the president's controversial policies. Curry said he'd consider cutting ties with Under Armour if the leadership is not in line with his core values.